With another beautiful weekend filled with bluebird skies upon us, we decided to answer the call of the mountain and return to Mont Cascades for some more snowshoeing adventure. On this visit, we started our trek through the mountain from the World Cup side, versus the main chalet side. The trails from both ends link up once you reach the summit. The trails on this side start by passing in front of the World Cup chalet. 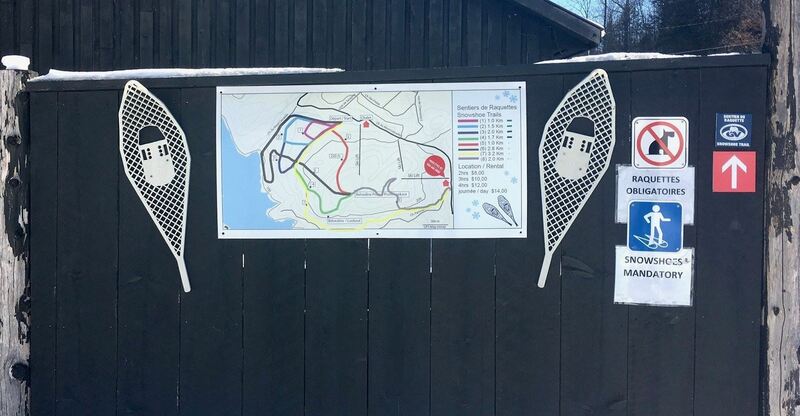 Here you will find a large trail map flanked with snowshoes (reminiscent of those we used to use in elementary school). 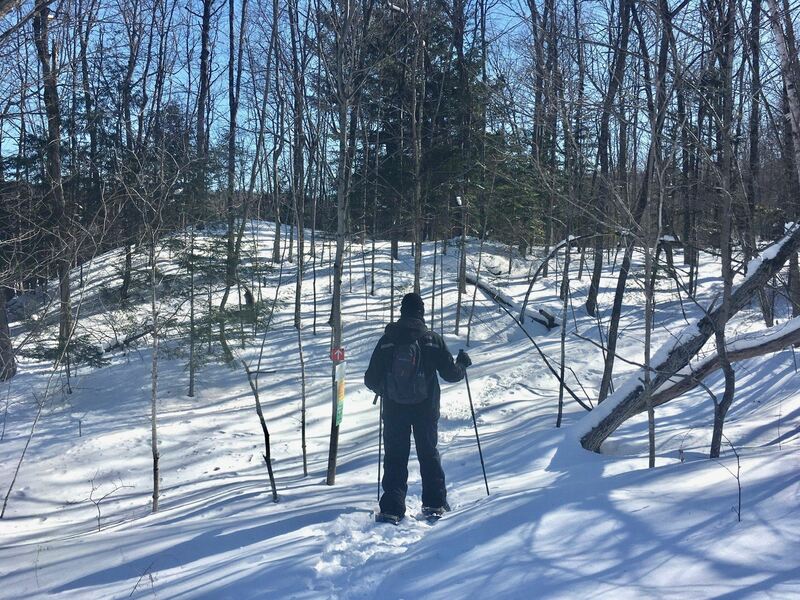 We choose trail #8, which is classified as double black diamond for difficulty. 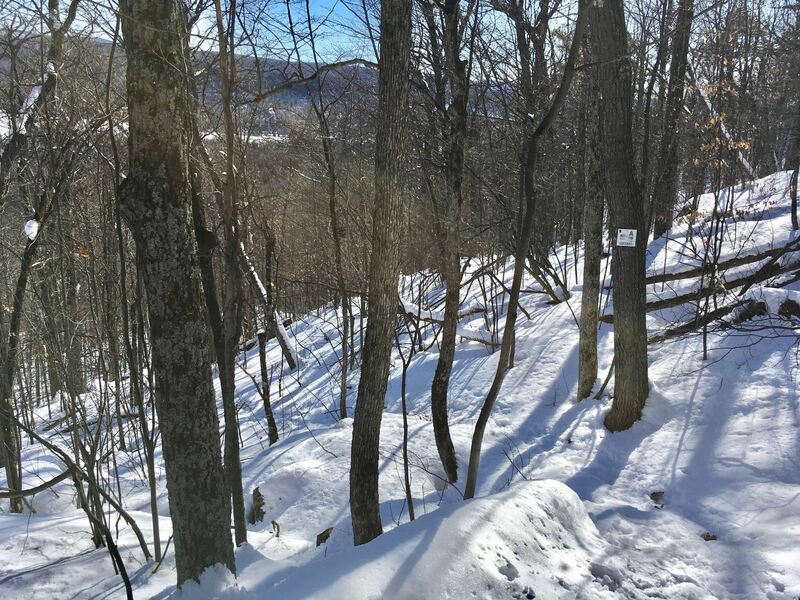 For the most part, the trail is fairly easy to hike, however as you approach the summit, there are two sections where the climb really increases in difficulty. 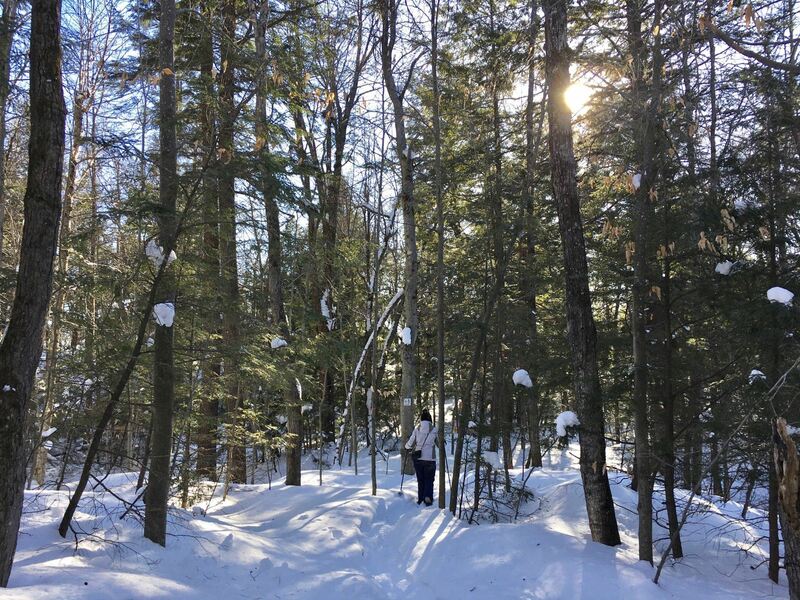 Nothing impossible but the snow on this particular visit had a tendency to slip away under the snowshoes due to the steepness, and there were rocks along the path during the ascent. 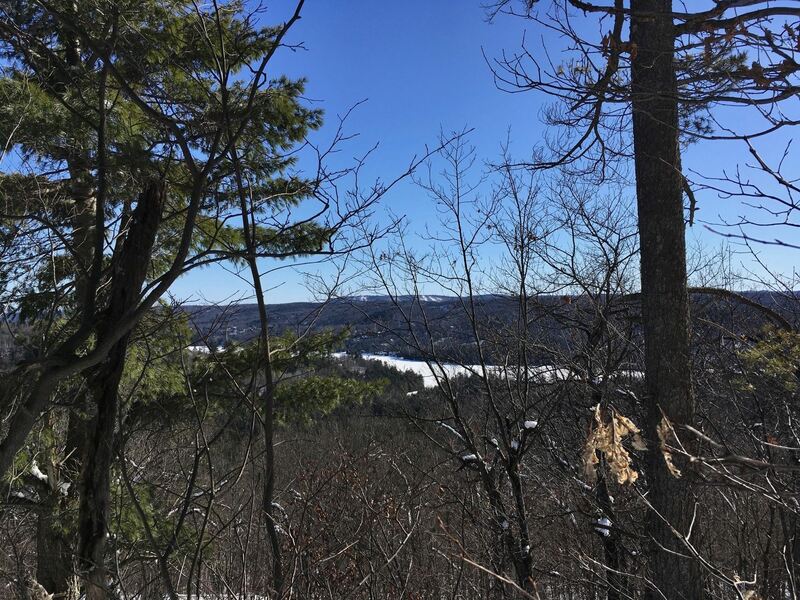 Along the trail, the views afforded of the Gatineau River as well as the surrounding region only got better the farther we went. Nearing the summit of the Triple chairlift, we could see Camp Fortune in the distance. From here, the trail continues with little change to the elevation until you approach the other summit of the Promenade Quad chairlift. At this point, you can branch off onto one of the other trails that will lead you to the main chalet, or loop around for a longer return to the World Cup side. We decided to do our route in reverse for the return trip. Well, the steep sections we previously ascended turned out to be a tad more challenging to descend, although nothing that couldn't be handed without a bit of patience and concentration. Overall, another great visit, filled with plenty of adventure and enjoyment. Surprisingly it would be hard to argue that the trails at Mont Cascades are not some of the best in the region. We always have a great time here. From easier more tame trails to steep challenging terrain, there's definitely something for everyone. 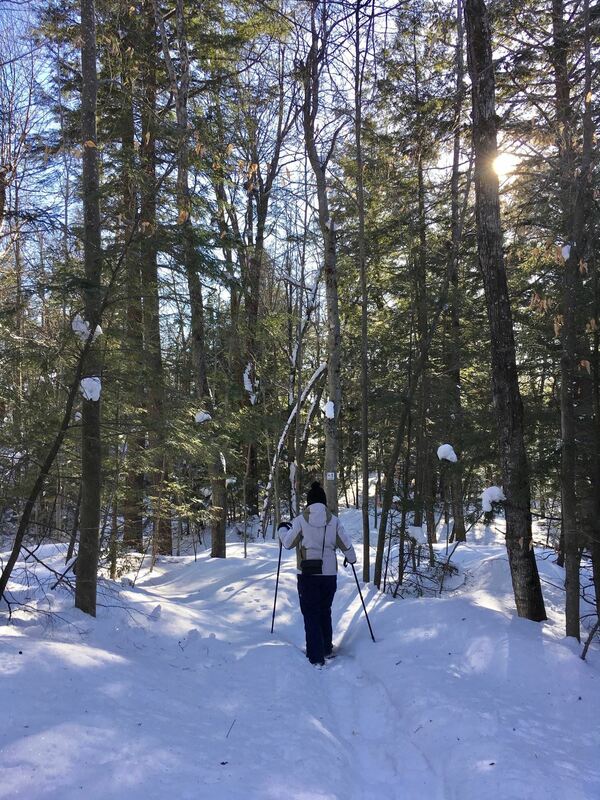 I checked out the snowshoe trails at Mont Cascade last Sunday. Great trails, great views and its free. I totally recommend them! 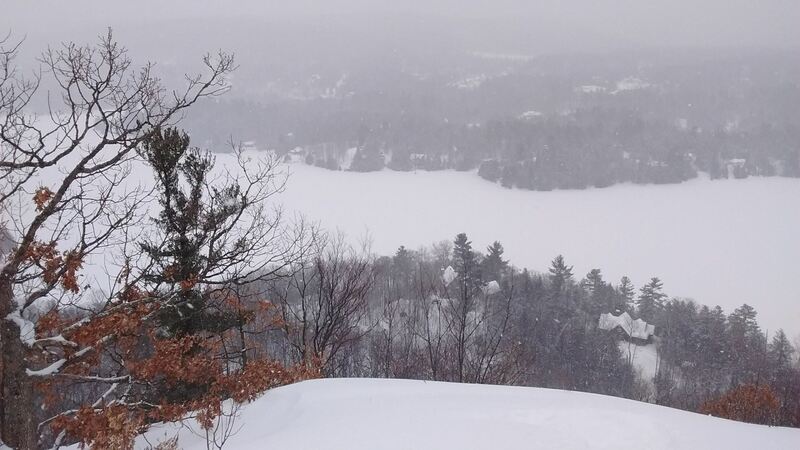 I got in a quick morning ski at Mont Cascades which is about 20mins from downtown Ottawa on the east side of the Gatineau River. 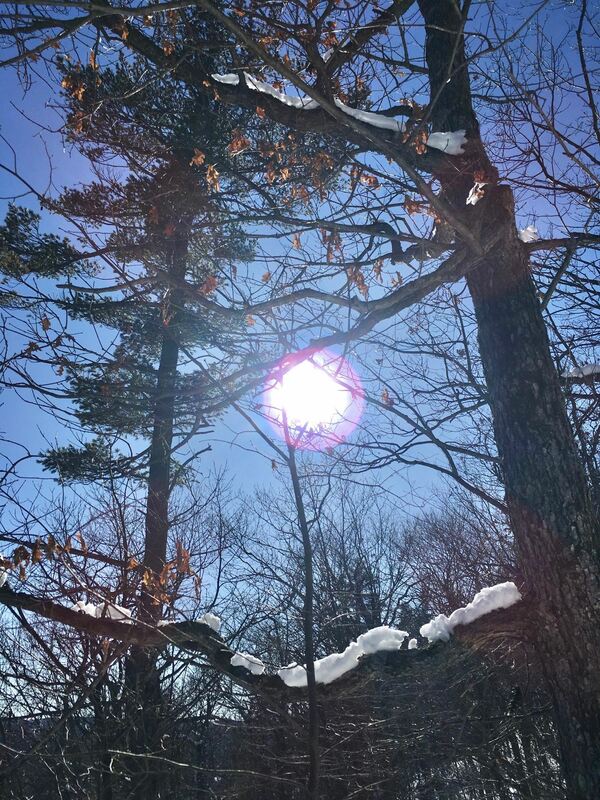 The weather was perfect with a high around zero and the sun coming out around 10am. All the main trails were perfectly groomed with soft snow under your skis. 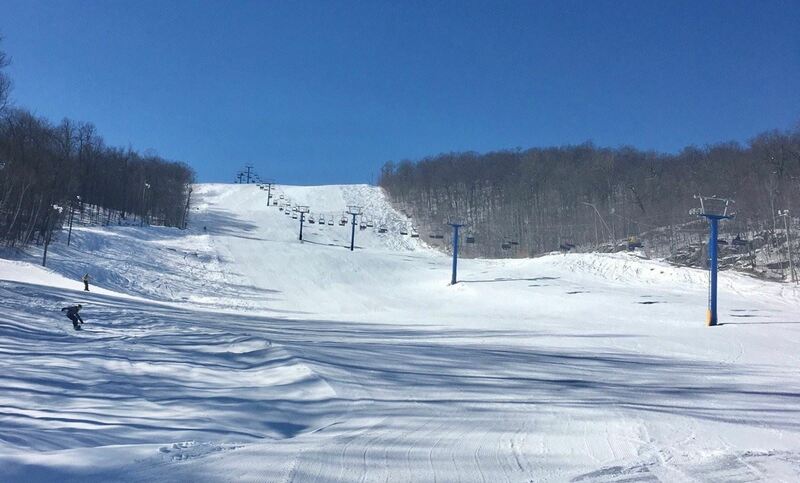 Fun Run, Crazy Creek, Detour and the Facade were left natural with loose snow and moguls. 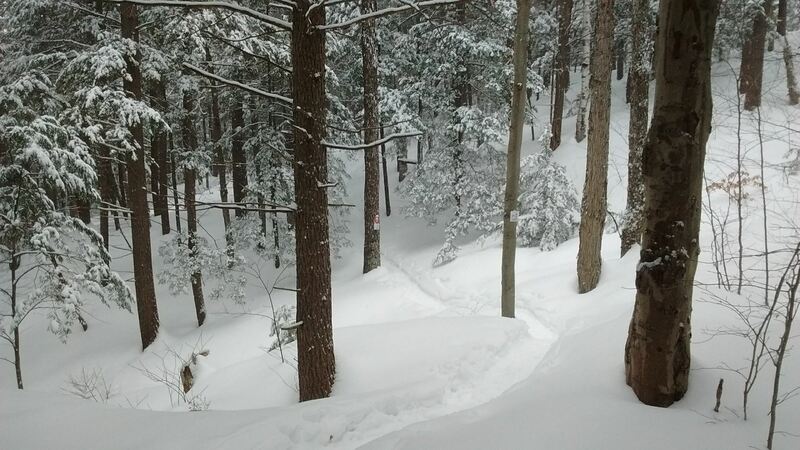 Cascades was busy, its a top to bottom park trail with jumps, rails and a twisty ski cross like section. Exhibition had race training on it but there was still space to blast down the middle under the old triple chair. Exhibition, Promenade, Gratton, Fun Run, Facade and the Cascades were my picks of the day. Today was the day to be out skiing with the perfect combo of conditions and weather. The top of Hogan with Camp Fortune in the background.